repellent replied to the topic 'IGF1 vs IGF1 LR3' in the forum. These findings reveal a new paradigm by which IGF-1 influences chondrocyte metabolism, by reversing the IL-1-mediated catabolic pathway through up-regulation of its decoy receptor. repellent replied to the topic 'FGF-18 stimulates intestinal proliferation' in the forum. repellent replied to the topic '2005 study on FGF-18' in the forum. In nearly all areas, repair tissue appeared to integrate well with the margins of the remaining normal cartilage. 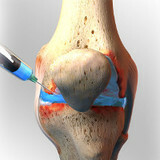 repellent replied to the topic 'Ember Therapeutics phase 2 knee trial' in the forum. repellent uploaded a new avatar. repellent replied to the topic 'Testosterone and Anavar' in the forum. repellent created a new topic ' Trials' in the forum.